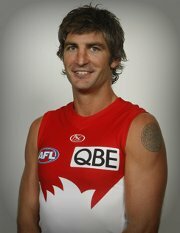 The AFL has appointed retiring Sydney Swans captain Brett Kirk as an AFL Ambassador, in particular with the brief to spend 6 months overseas promoting the fourth International Cup, set for August 2011. Kirk was a member of Sydney's 2006 premiership side and has been arguably the AFL's most respected leader. A product of Albury in southern New South Wales, he has been well known for his spiritual approach to life and is reportedly a practicing Buddhist.